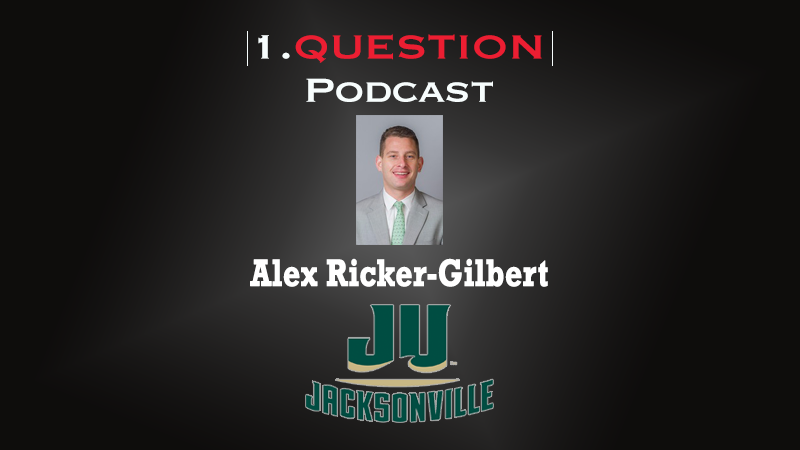 Alex Ricker-Gilbert, Senior VP & Athletics Director at Jacksonville University, visits the 1.Question Podcast about establishing a successful culture in athletics. Ricker-Gilbert mentions his background in compliance and Student-Athlete services as a crucial element to his success in athletics administration after becoming an AD at the age of 28. He also discusses his collaborative process of establishing core values for the department, noting that the initial challenges faced by his staff helped to lay the groundwork.